Corporations, Partnerships, Limited Liability Companies, Trusts, Estates, and yes, even Non-Profit Organizations must file tax returns every year. 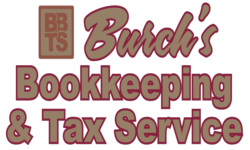 Burch’s Bookkeeping & Tax Service in Medford Oregon has specialists in this field. We can prepare your income tax return. We will ensure that your tax return includes all of the deductions to which your organization is entitled, and we will get your tax return filed correctly. Whether your a small home based business and a fast growing corporation preparing your own business tax return can be challenging. The tax laws change annually. The tax professionals at Burch’s Bookkeeping & Tax Service in Medford Oregon keep up-to-date on the most recent changes. We remain vigilant in our search for changes that effect you and your future. When it comes time to prepare your tax return, we are ready to help you. We will find all of the deductions and credits that you can claim, and we will get you all the tax benefits to which you are entitled. We are able to assist you with your many types of tax returns, including simple returns, itemized deductions, non-resident returns, small business returns, and many others. Your convenience is our goal. We have two services for your convenience: (1) You may have us prepare your tax return in your presence, so that you can ask questions and see exactly how we are preparing your return. (2) You may choose instead to drop off your tax documents at any of our locations, and we will give you a call when we have completed your tax return. At Burch’s Bookkeeping & Tax Service you get to choose. Are you planning to start your own business? Have you already started one, and you are searching for ways to make it more profitable? Our consultants can analyze your business plan, income, and expenditures to search for ways to decrease your business’ tax liability, which may increase your profitability. 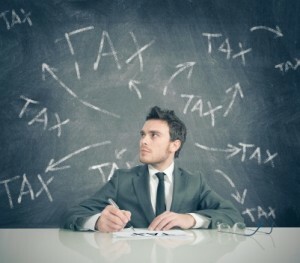 This is a complicated process that our tax consultants are uniquely qualified to guide you through. We have your bottom-line in mind.